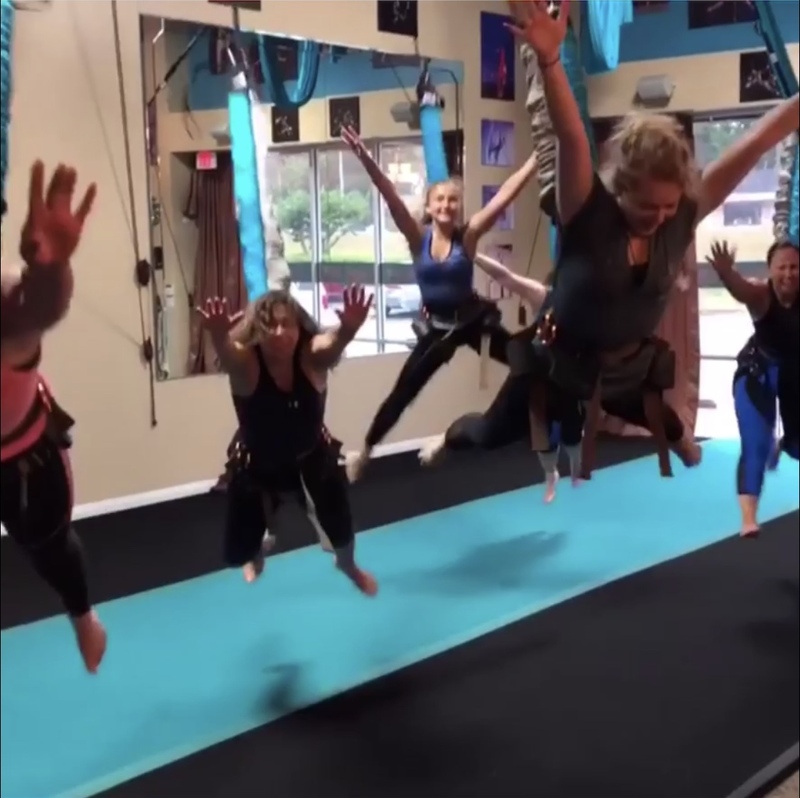 Bungee fitness has arrived at Bittersweet Studios! This is a revolutionary, high-endurance, motion based bungee training system that allows people of all ages, shapes & sizes to bring fun back in to fitness. An anti-gravity based workout that uses state of the art movements to create low impact exercise, with the added benefit of increased blood & lymphatic flow. Bungee exercise targets core strength horizontally in a manner that vertical training just cannot match. Bungee training is a fun alternative to an everyday strength training workout that boosts muscle power, strength, balance, & agility.